ASU graduate student Jared Schoepf, co-founder of SafeSIPP, a student-led startup in ASU’s Edson Student Entrepreneur Initiative, has been named a top five finalist in the "College Entrepreneur of the Year" competition run by Entrepreneur Magazine. This is the third year in a row that one of ASU’s Edson student startups has been a finalist in the competition. In 2012, JJ Tang, CEO and co-founder of Vantage Realized, was selected as a finalist and ultimately placed second in the competition. In 2011, ASU dominated the competition: three of the top five finalists were ASU student startups, with Gabrielle Palermo, co-founder of G3Box, ultimately winning "College Entrepreneur of 2011." "College Entrepreneur of the Year" is one of three awards – including "Entrepreneur of the Year" and "Emerging Entrepreneur of the Year" – bestowed by Entrepreneur Magazine on the nation’s top entrepreneurs each year. Entrepreneur Magazine received thousands of entries for the competition and then selected the top five entries in each award category as finalists. SafeSIPP was founded by Schoepf and his fellow ASU chemical engineering classmates Lindsay Fleming and Taylor Barker, to solve three critical problems facing rural communities in the developing world: transportation, purification and storage of drinking water. SafeSIPP was formed out of ASU’s incredibly popular and successful EPICS (Engineering Projects in Community Service) class, where students are encouraged to use their training as engineers to solve real-world, crisis-level problems. In the EPICS program, SafeSIPP developed a life-changing water transportation system that increases the amount of water that can be collected at a time to more than double the standard. Their unique system has made barrels of water so easy to transport that it has drastically reduced the amount of time it takes by 75 percent. Not only is their device life-changing, but for the nearly 1 billion people who live in the developing world who do not have access to clean drinking water, it is potentially life-saving. More than 3.5 million deaths occur each year due to diseases contracted from contaminated water and 98 percent of those deaths occur in the developing world. 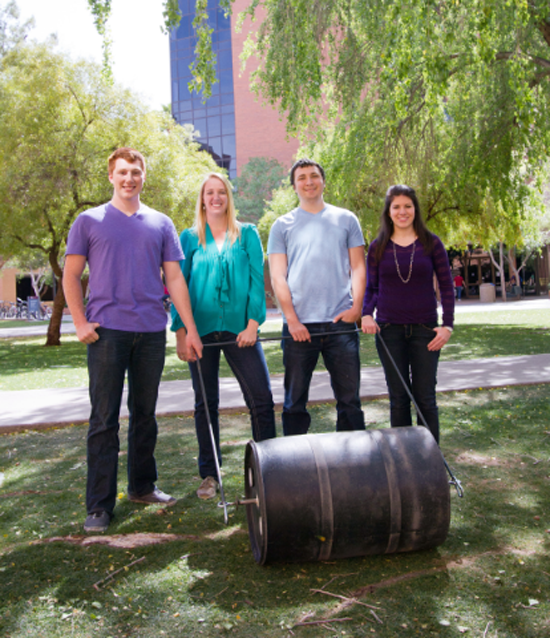 As a team of chemical engineers from ASU’s Ira A. Fulton School of Engineering, Schoepf and his co-founders knew that SafeSIPP would need to do more than just make water easier to transport and store; they had to make it safer to drink. SafeSIPP is an alumni company of the Edson Student Entrepreneur Initiative, run by the Entrepreneurship and Innovation Group at ASU – a joint initiative between the Office of Knowledge Enterprise and Arizona Technology Enterprises to supports students, faculty, staff, alumni and community members in the wide range of entrepreneurship-related classes and programs available throughout the university. “We have seen such unique and impactful startups in the Edson program over the past three years, and you can really see how ASU is leading the way in student entrepreneurship at the university level in our track record over the past three years in this competition” said Gordon McConnell, assistant vice president of entrepreneurship and innovation for ASU. “ASU’s student startup companies have proven they can be successful in the program, but our other finalist companies from this competition are still going strong, proving that they remain successful after they graduate from Edson. G3Box is ready to ship their first clinic to Kenya this fall and Vantage Realized continues to build and test beta products to make movement easier for wheelchair users. I could not be more proud of the work our student startups have accomplished." To vote for Schoepf and SafeSIPP in this year’s College Entrepreneur of the Year competition, visit http://www.entrepreneur.com/e2013college and click on the vote button at the bottom of Schoepf’s profile. To learn more about SafeSIPP, visit www.safesipp.org. ASU alum Clarissa Toupin has received a five-year teaching fellowship to help her pursue a master's degree in education at ASU's Mary Lou Fulton Teacher's College. 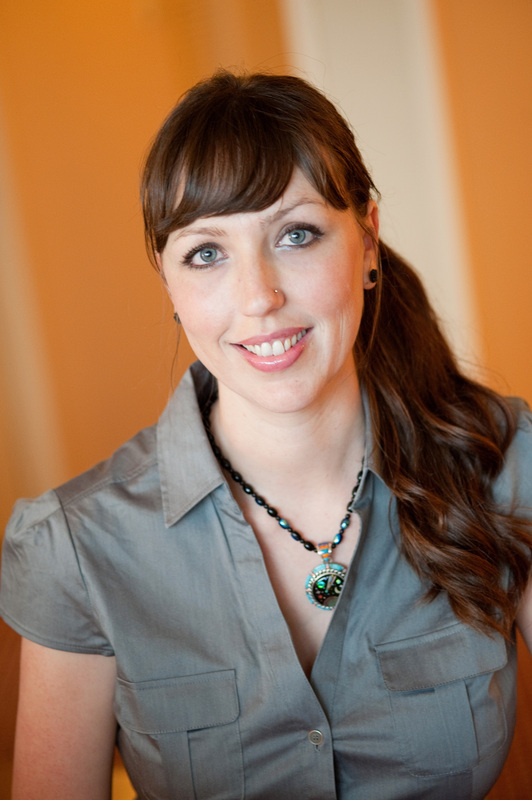 New Jersey-based Knowles Science Teaching Foundation has awarded Clarissa Toupin, a 2009 Arizona State University anthropology graduate, a five-year teaching fellowship to help her pursue a master’s degree in education at ASU’s Mary Lou Fulton Teacher’s College. Toupin, a Glendale resident, plans on becoming a high school biology teacher upon graduation. While pursuing her undergraduate degree at ASU, Toupin worked as a teaching assistant in undergraduate science and high school special education classes. She also pursued internships as a forensic anthropologist at the Maricopa Forensic Science Center, a bioarchaeologist in Sudan and an archeologist in South Africa. The experiences allowed her to discover her passion for teaching and engage with people from diverse backgrounds. “At the same time, I recognized the dearth of women working in the STEM disciplines, as well as the alarmingly low number of general education students planning to attend college,” she noted. To make an impact on a grassroots level, Toupin decided to launch a series of lectures titled, "College is Cool," aimed at high school students, and especially girls. During the lectures, she emphasized that college can be accessible, fun and rewarding. With the help of visual and interactive aids from the forensic lab and her travels in Africa, she stressed the importance of STEM education. Toupin went on to pursue a master’s degree in biological anthropology at the University of Alaska in Fairbanks, but despite enjoying research, she decided to become a high school teacher. “For me, stepping out of the lab and into an occupation in education means having the opportunity to make a difference, not only in the lives of the students in my class, but in the school, the district, the community and in the very policies driving STEM education in our states and nation,” she said. Toupin will begin the master of education program at ASU in the fall of 2013. She is excited to return to the university and hopes to teach at an inner-city school or an advanced college preparatory school after finishing her studies.